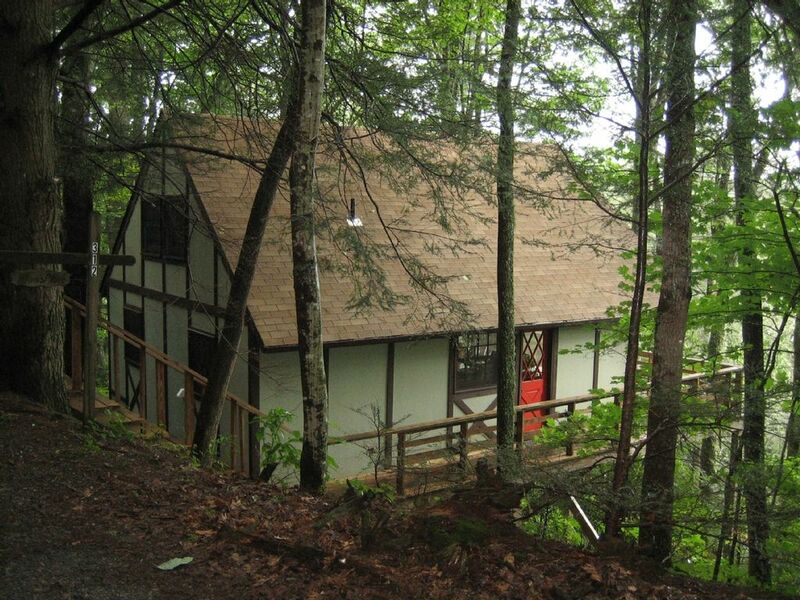 The cottage is nestled at the end of a 2-mile dirt road in the middle of the woods with no neighbors in sight, yet it's just minutes from Cashiers, Highlands, and Sapphire, with easy access to the lake shore. The large deck overlooks one of the best views Lake Glenville has to offer. Relax in comfortable deck chairs or under the deck umbrella with a drink, steaks on the grill, and enjoy the most spectacular sunset you've ever seen.